New Jersey's The Grip Weeds release their seventh studio album Trip Around The Sun, their second for Jem Records, and the follow-up to their acclaimed 2015 release How I Won The War. 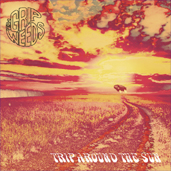 The Grip Weeds turn in the most varied collection of songs in their decades-long history. Echoes of sunshine pop (“Vibrations”), psychedelic garage rock (“Mr. Nervous”), biting social commentary (“Casual Observer (To A Crime)”), vintage folk rock (“Truth Behind The Lie”), and the riff-driven rock of the epic title cut, all with The Grip Weeds trademark melodic songwriting, powerful guitars and rhythm, and close harmony vocals. 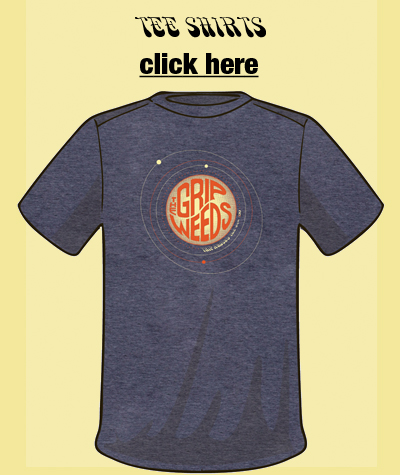 A fine place for new fans to discover what longtime fans have always known: The Grip Weeds are a timeless band with a new album made for these times. 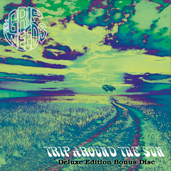 Trip Around The Sun is available across multiple formats: CD, Limited Edition Orange Swirl colored vinyl and various digital versions, including FLAC and HD which are offered only here. The Deluxe Edition is also exclusive to www.gripweeds.com. *Limited Orange Swirl Vinyl! LP SHIPS FREE TO US– Added shipping for int’l orders. Physical orders include a sticker. Digital orders include album PDF booklet. Includes the album plus a separate Bonus CD of newly-recorded unique low-volume ‘acoustic’ performances of seven songs, early versions, demos and alternate mixes of selected album tracks; There And Back: The Making Of Trip Around The Sun digital PDF booklet (with full lyrics, track notes and background info on each song by the band themselves, plus a photo journal of a day in the studio with The Grip Weeds). **Bonus Disc is CD & Digital Download ONLY! CD is included with Deluxe LP edition. *Limited Edition Orange Swirl Vinyl! LP SHIPS FREE TO US– Add’l shipping charges for int’l orders. Deluxe physical orders include sticker & instant digital downloads. Deluxe digital orders include album and deluxe PDF booklets. Let’s say you already got the album and just want the bonus stuff. You can get it here– the 15-track Bonus CD only as described above. Includes the There And Back digital PDF booklet. **Bonus Disc is CD & mp3 Download ONLY!